Offer high quality vector cells illustrations including animal cells, virus cells, and plant cells, together with an easy-to-use tool for creating human cells diagrams, plant cells diagrams and virus cells diagrams for science projects. Still seeking for vector cell illustrations that can be customized? 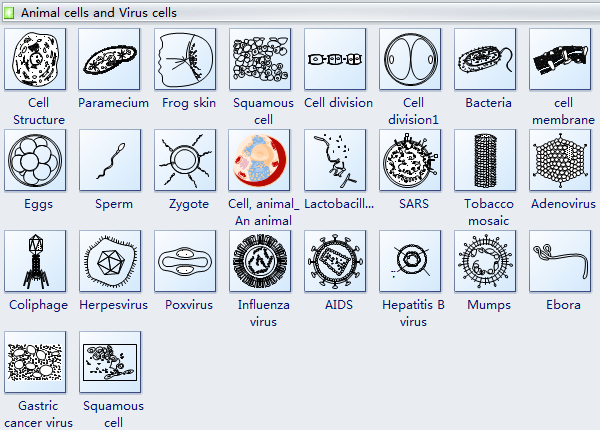 Trying to find some flexible cells clip art materials for your biology class? Let Edraw help you out. A large collection of cells illustrations with vector format are included, totally royalty free. All of them are editable, allowing users to rotate, resize, recolor and add text. They are perfect for preparing learning materials, adding illustrations for books or work sheets, and creating cells diagrams to facilitate science class. 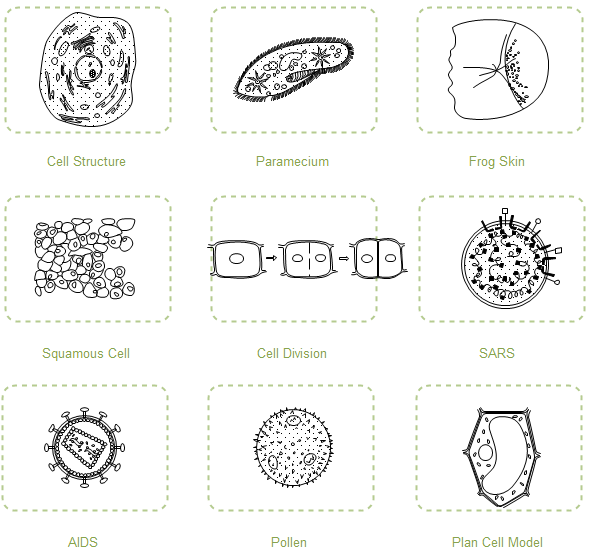 A great range of vector cells images are provided in the Cells Library. You can find symbols of cell structure, paramecium, squamous cell, cell division, bacteria, cell membrane, eggs, sperm, zygote, an animal cell, SARS, tobacco mosaic, adenovirus, coliphage, herpesvirus, AIDS, pollen, plant cell model, onion tissue, etc. They are vector symbols available to change size and edit. To learn more about each cell symbol, please click Cell Diagram Symbols for further information. Sometimes existing illustrations couldn't meet users special requirements. 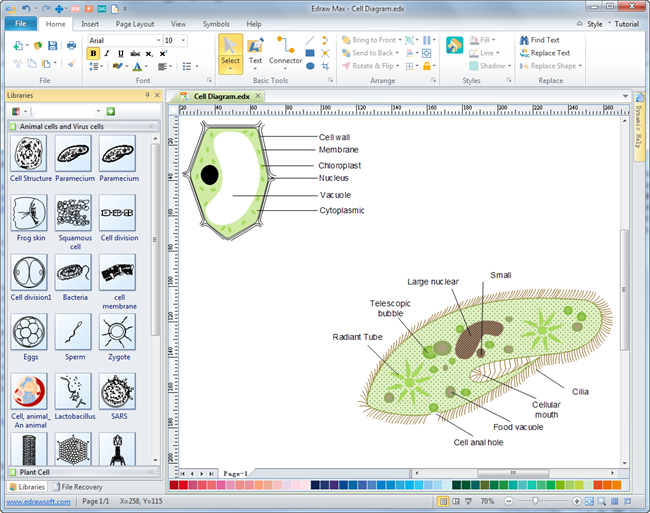 Therefore, we offer an easy cells diagram software for users to edit these illustrations. With this tool, you can add text on pictures, combine picture together, ungroup the picture and use a certain part, change the size, add callouts, and change colors. As you can see below, the interface is quite similar with Microsoft programs. Anyone could operate it without the need of learning. Besides cells symbols, you can also use other pre-made symbols like callouts, basic drawing shapes, and thousands of clip arts. This excellent software can save you tons of time for making great study materials, student exercise sheets and presentation slides in class. Free Download and Trial - Drawing Software Tool Program for PowerPoint Presentations. 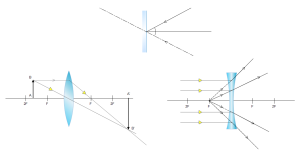 In addition to cells illustrations, Edraw also provides illustration libraries for mechanics, optics, chemistry equation, laboratory equipment, molecular model, mathematics, cells, and much more. 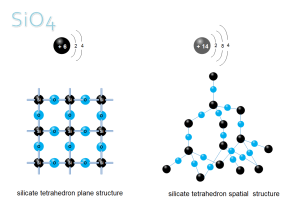 Extensive predefined molecular illustrations help develop molecular diagram in minutes. 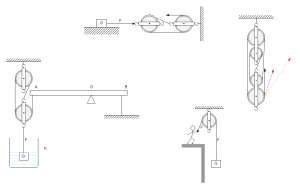 Edraw has prepared physical mechanics illustration including weight, ball, staircase, balance, steelyard, spring, stub, stick, spring balance, weight, flume, mathematical pendulum, block, pulley block, crown block, travelling block, elevator, etc. A great range of laboratory equipment illustrations are included, containing dropper, gas jar, flask, trough, test tube, U tube, acid burette, funnel, rubber tube, and a lot more. As a great way to start laboratory equipment diagrams, a template will reduce much manual work. Thus one template is ready made in vector format for your own designs. 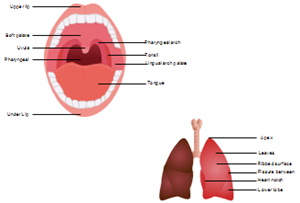 Ready-to-use human organs illustrations including eye, nose, ear, oral, throat, ear, arm, leg, foot, teeth, tooth decay, stomach, kidney, liver, lung, heart, uterus, fetus, intestinal, brain, needle, skull, spine, rib cage, hip bone, bones of hand, etc., giving users a great convenience to prepare learning materials for science class.